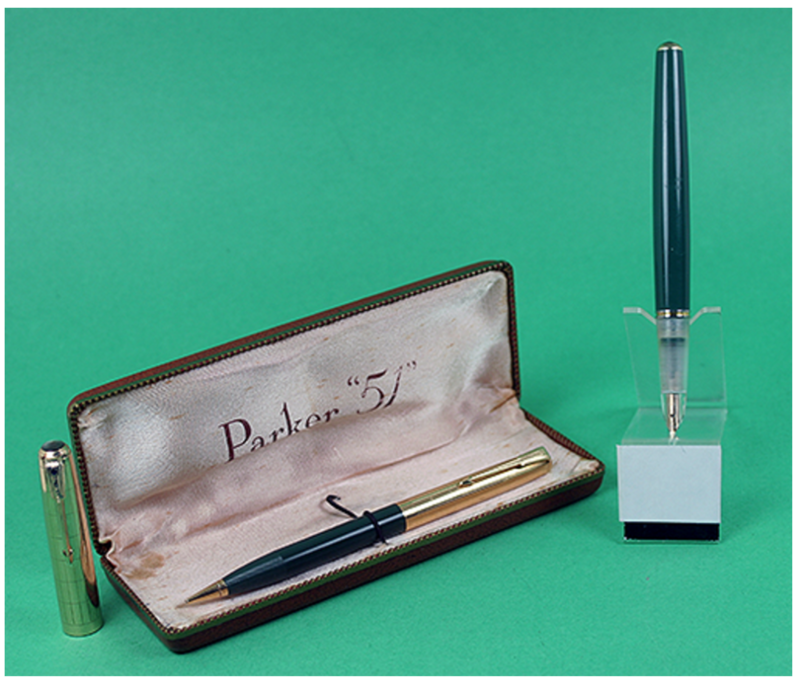 This 1948 Parker 51 Vacumatic-filler Demonstrator Shell set in Nassau Green is a unique beauty. Fitted with a transparent demonstrator clear acrylic section with a perfectly clear collector. 1/10 16K “Heritage” cap (smooth with rectangles) with 14K clip and barrel tassie. 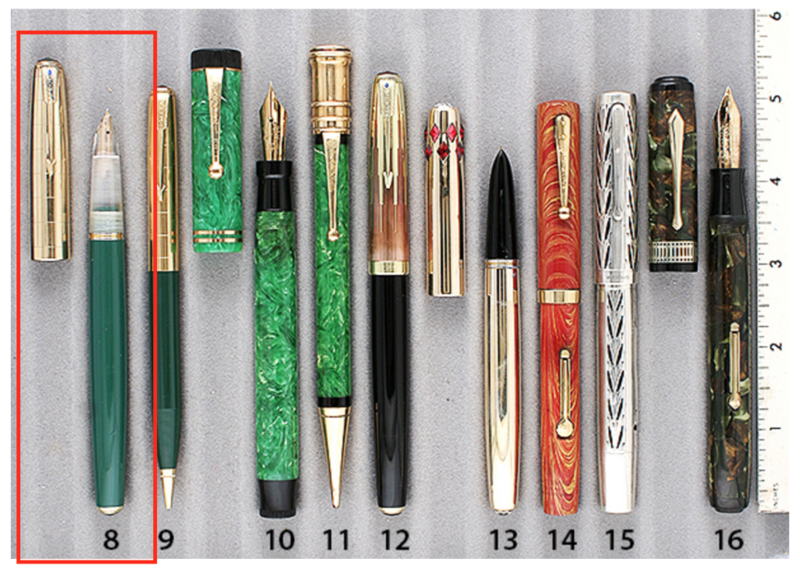 Medium/fine nib. New-old-stock, and mint in original box. Item #8 in Catalog #80.